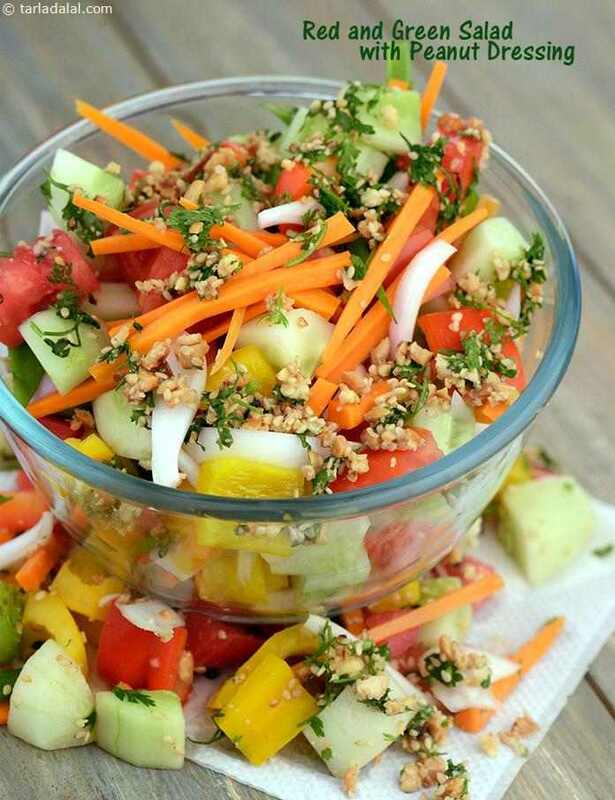 Colourful veggies mixed together make interesting and visually-appealing salads! Tossed with different dressings like the Ginger Dressing, Basil Dressing and Peanut Dressing, these salads also have a tongue-tickling flavour. Catch up on good health with some of our catchy salads, like the Green Salad with Muskmelon Dressing, and Minty Apple Salad. Thickly grated radish is perked up by the addition of an unusual combination of ingredients like garlic, mustard seeds and lemon juice. This makes a tongue tickling dish that is low in calories and carbohydrates and so is a perfect accompaniment to a main course like khichdi or parathas.